My buddy and I hit the lake this morning at sunrise. The bite didn't turn on until 9am and when it did it was on! The lure of choice was a LiveTarget Pumpkinseed crankbait. 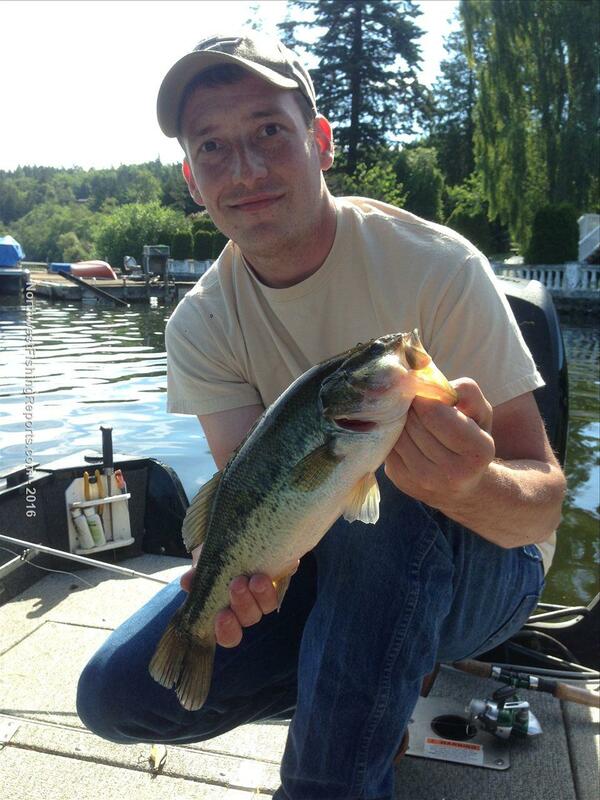 Most bass were caught in 7-10 feet of water under docks or in grass cover near rock retaining walls. Between the 2 of us we caught about 15 bass and 1 trout. 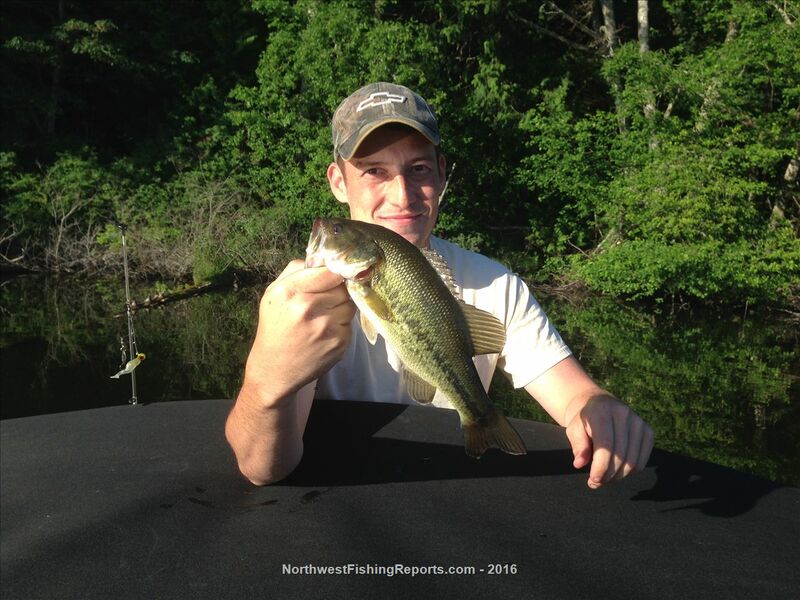 Codi put on a show yanking 4 straight 1.5-2.5 lbs bass out from under a dock. Great weather, friends, and fish couldn't ask for a better Sunday morning! View other reports from moyer88.